Entries for the hill race are taken on the day at a cost of £2 for seniors and £1 for juniors. The registration takes place on Victory Park near to the play park and Queens Drive. There is also a race for kids which goes up to the top of Johnnie's road and back. 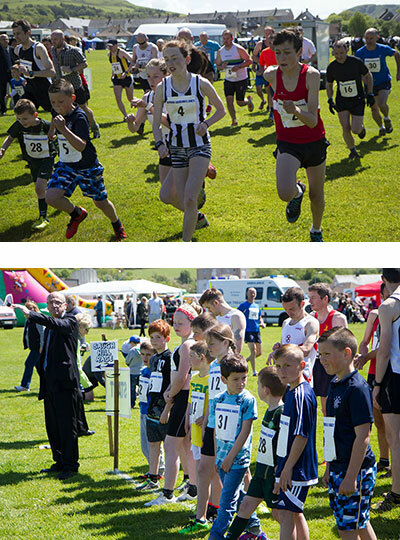 Girvan Harriers (Formerly Girvan AAC) is aimed at anyone who wants to get out running. No matter your ability come along to training on a Tuesday or Thursday night. We meet at 7.00pm in front of Girvan Academy ( at the main entrance on The Avenue) and will plan a route or session accordingly.